The contest comes on the heels of the latest collaboration between Dixie Elixirs and SWR. Together we have created a 100MG milk chocolate bar infused with all-natural orange oil called the Orange Dynamite. The new Orange Dynamite bar is the first in a line of products that will be produced through the SWR/Dixie collaboration. 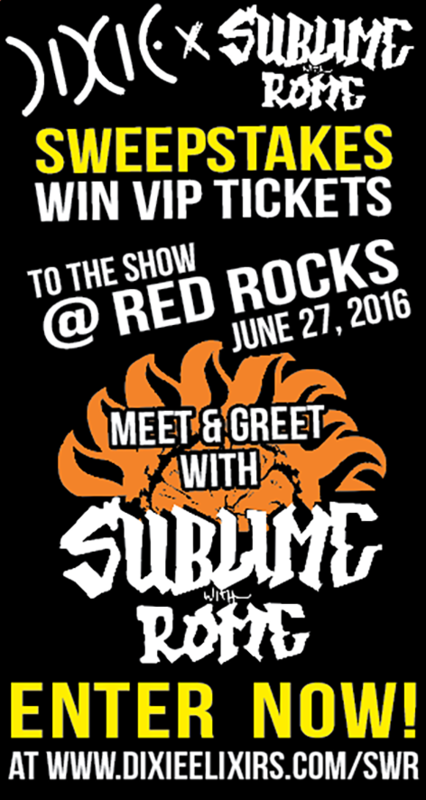 Stay tuned for an infused beverage as a follow-up to the Orange Dynamite bar and don’t forget to sign up below for a chance to win VIP tickets to see Sublime with Rome at the Red Rocks this summer!